If you’re serious about setting up a home theatre then you should be serious about the projector you choose. 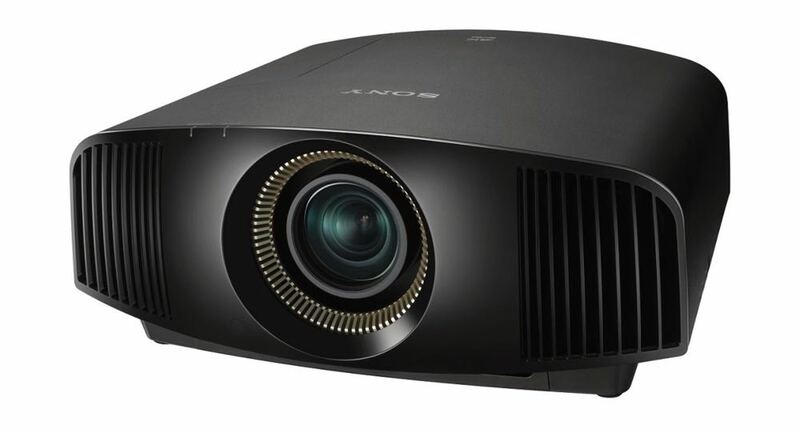 The Sony VPL-VW570ES True 4K Home Cinema projector should be that choice. When it comes to projectors, there are 4K models and True 4K models. The excellent Sony 4K SXRD Home Cinema VPL-VW570ES falls into the latter category and brings a truly cinematic and immersive experience into your home. This latest model is a massive jump from the previous version – which we own – so we’re in a good position to notice the many improvements. 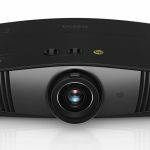 It’s going to be hard to go back to watching our VPL-VW300ES Sony 4K projector now that we’ve laid eyes on the latest VPL-VW570ES. 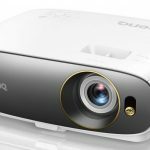 For a start the new projector is brighter at 1,800 lumens compared to 1,500 and now also packs in HDR (high dynamic range) which also makes a world of difference. Even though we are talking about the same number of pixels – there are more than 8 million of them thanks to the 4096 x 2160 True 4K resolution – there is still a noticeable improvement in picture quality, contrast and clarity. This Sony projector has true native 4K which means it displays every one of those 8 million plus pixels. 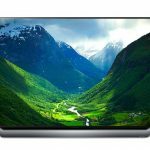 Other 4K projectors on the market, which are also thousands of dollars cheaper than the Sony model, offer a 4K experience but achieve this with something called “pixel shifting”. They take their 1080p chips and shift them hundreds of times per second to provide a 4K image. But not the Sony projector – it has a native 4K SXRD panel to produce true 4K resolution without the need for any pixel shifting trickery. What you see on the screen is an actual 4K image and, to us, the difference is huge. If you’ve gone to the trouble of creating a dedicated home theatre like we have, there is no point compromising on the quality. 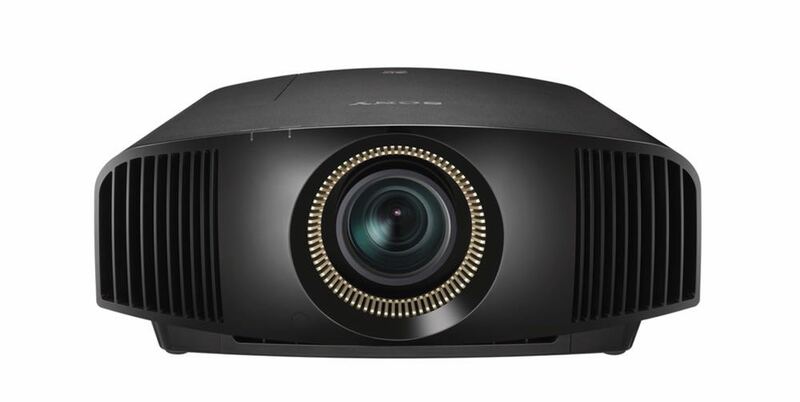 For anyone else with that “go big or go home” attitude like us, the Sony VPL-VW500ES 4K projector is worth every penny. The latest 4K SXRD panel produces stunning picture quality with deep blacks and rich colours. There is so much detail to enjoy even on a large 150-inch screen. There is nowhere for that picture to hide – it was amazing. What helped was the 350,000:1 dynamic contrast ratio that helps produce flawless tones and textures. There are several preset modes to suit movie viewing, TV and even gaming. But what really does the heavy lifting with the Sony projector is HDR (it’s compatible with HDR 10 and HLG -hybrid log gamma formats) which produces impressive colour and contrast so the viewer can see a lot more detail in the brighter and darker areas of the screen rather than a washout white areas or blacks sections with zero detail. So what you see on the screen is an even truer representation of what the filmmaker intended. The VPL-VW570ES includes Reality Creation technology that can enhance image crispness on-the-fly without increasing noise. 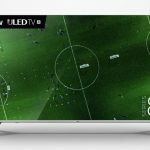 This feature also provides excellent upscaling to take existing full high definition Blu-ray disc or DVD content to near 4K quality. The upscaling is so good, we’re happy to upscale a Blu-ray version of a film we own rather than going out to buy the 4K version. For movies we truly love (we’re still waiting to see the original Star Wars trilogy on 4K!!) we’d be happy to pay for the native 4K version – we’ve already done that. But in many other instances the upscale from the BD version still looks incredible. The projector can handle 4K HDR content at 60 frames per second but we also needed HDMI cable that can handle 18Gbps to be able to showcase the smoother look and feel of the picture. And you also need a special HDMI cable – an active directional cable that can handle 18Gbps. We used a 15m Wireworld Sphere HDMI cable which also has a small USB cable that connects to the projector’s USB port near the HDMI port for added power. And it is directional (which means you need to connect the right end to the projector and the right end to the receiver. This uni-path structure reduces signal loss and provides superior performance. And naturally it can handle HDR and is HDCP 2.2 compatible. 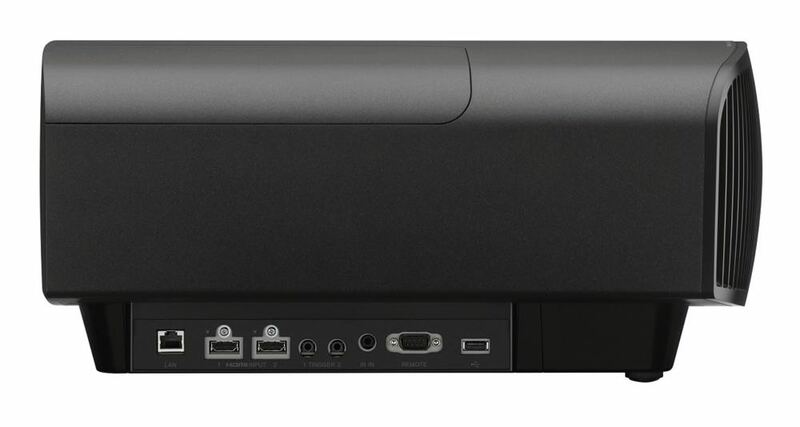 The HDMI 2 input on the Sony projector is HDCP 2.2 compatible. Also onboard the Sony projector is 4K MotionFlow which can smooth out any motion blur quite nicely. 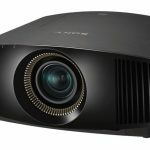 But Sony recognises many of the customers who purchase this projector will be cinema purists which is why there is also a True Theatre low which basically shuts off the MotionFlow and retains the original 24fps look warts and all. We like in motion flow to the Beauty Mode on a smartphone camera that can smooth out all your flaws to produce a better image. If you don’t mind that look or couldn’t tell the difference anyway, MotionFlow is a great feature. But users do have the option of getting that true theatre look to the image. Setting up the Sony projector is surprisingly easy. You basically aim the device at your screen and then adjust the lens zoom and lens shift to fit your screen. Sony has included nine calibrated picture modes including two theatre film modes, cinema digital, reference, TV, photo, game, bright cinema and bright TV. You can also drill down into the settings and even adjust the colour temperature. And of course you can also get the projector professionally calibrated to suit your viewing environment. But for us, we hardly had to tweak the settings to see a superb image. 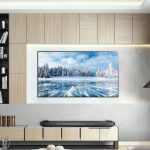 Yes, the Sony projector is expensive at $11,999 and it is designed for enthusiasts who already have or want to set up a home cinema in their home. This isn’t the sort of product you just set up in your lounge room. It’s meant to be used in a dedicated room set aside for watching movies. And the result in a proper home set up is simply stunning with the cinema-like experience in your own home. 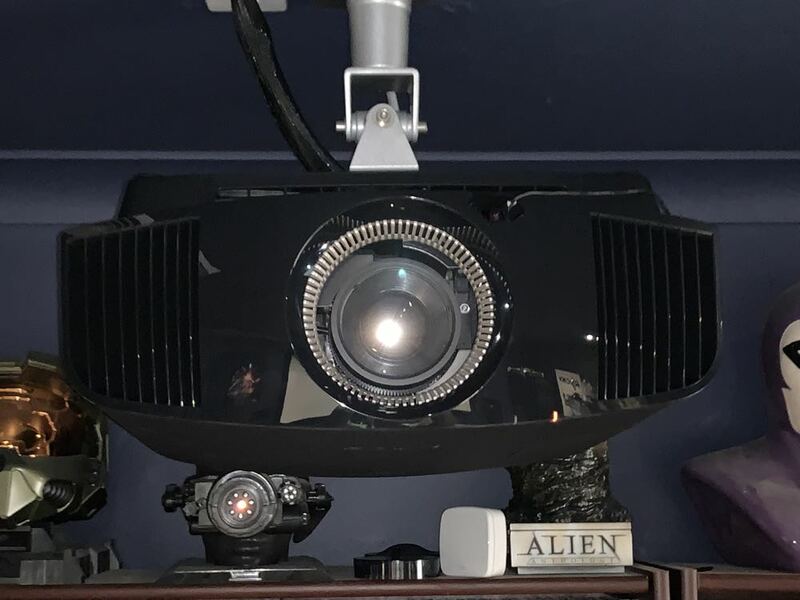 Having a projector like this, it would take a lot to get us to the cinema – it would have to be an absolute blockbuster to make us line up at the box office. 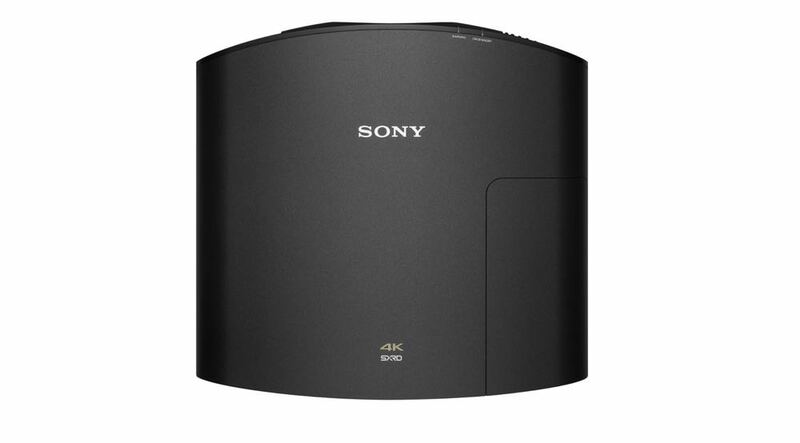 With this amazing Sony projector, we would be more than happy to wait for the 4K version so we can enjoy the movies in amazing quality and in the comfort of our own home.